At the beginning of year 2010, the status and administration of the university underwent a considerable change, as the new university legislation was put into practice. Few changes in the life of the department are evident yet – we have been able to continue according to previous plans. The change has been manifested most strongly in the finances of the department; the years of plenty that were based on saved assets are over, and we have now had to cut back on our operations somewhat in response to normalised funding. Part-time teaching is one area that has been reduced. Various key figures show that the year 2010 was an excellent one for the department. The number of degrees has recovered from the depression after the 2008 record number of degrees; 55 Master's degrees and 126 Bachelor degrees were completed. Both numbers are the highest in the faculty. The number of completed credits also follows an upward trend. The number of publications, 228, is a new record. The teaching at the department has been organised according to the three sub-programmes implemented in autumn 2008 (algorithms and machine learning, networking and services, and software systems) and one Master's programme (bioinformatics) given in English. The development of the internationalisation of the department has been forceful in 2010. It is very significant that all the teaching for the Algorithms and machine learning and the Networking and services sub-programmes is given in English from the beginning of academic year 2010-11. The recruitment of international students for these sub-programmes was intensified. We received 268 applications, and out of them, 48 new international students were selected. Of these students, 20 accepted their place at the department. In addition, the department's international Master's programme in bioinformatics and the Cross-Border University Information and Communication Technology Master's programme are given in English. In all, 13 new students entered these programmes. The foreign students at the department are expected to maintain the number of Master's degrees while most of the Finnish students seem to settle for the Bachelor degree. A considerable renewal of the corps of professors at the department has been completed for now. In 2009-10, no less than five new professors were appointed at the department: Pekka Abrahamsson, Sasu Tarkoma, Veli Mäkinen, Giulio Jacucci, and Petri Myllymäki. Now there are a total of 12 professors at the department. The 2010 highlights include the opening of the Software Factory programming lab. An international network of labs following the same concept is being developed. The largest acquisition ever made by the department, the super computer Ukko, was deployed. The research at the department continued to work on a wide front, including the close collaboration with HIIT. One of the new features is the expanding cooperation with Tekes strategic centres for science, technology and innovation. Out of the individual research findings, the research on weather-proofing computers carried out by Professor Jussi Kangasharju and Researcher Mikko Pervilä garnered much international attention. 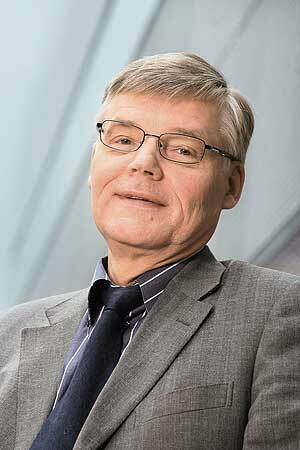 Professor Aapo Hyvärinen was the first Finnish computer scientist to be promoted to the Thomson ISI Highly Cited Researcher category. Year 2010 was exceptionally active for congresses. The department participated in organising nine international congresses or work meetings in the greater metropolitan area. They were attended by a total of 850 participants, out of which some 500 were foreigners. The atmosphere and results of the department have remained at a high level. I want to extend my warmest thanks to our staff, students, and collaborators!